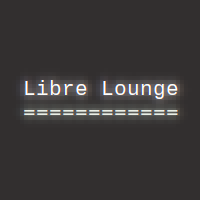 @librelounge @cwebber @emacsen Hey, just finished listening to it and I noticed @emacsen voice got mixed up with the outro sequence. Did you realize this already, or did I just download the file too early? @zge @librelounge @cwebber I was a bit agressive in squeezing the episode down under 40 mins. @emacsen @librelounge Ha! I was going to jokingly ask about that. Well done getting it under forty minutes!